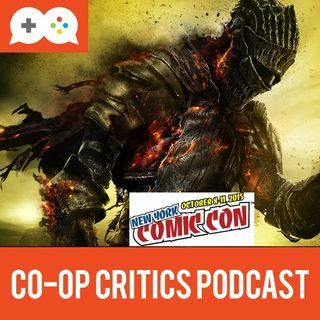 In the latest episode of the Co-Op Critics podcast, Brian nad Nick recap their trip to New York Comic Con, and discuss some of the games that were on the show floor at this year's show. They also talk about what big games they're gearing up for this holiday season. NOTE: The game of the month for November on Co-Op Critics will be Call of Duty: Black Ops 3. ... See More We'll be featuring videos all month and a podcast at the end of November to discuss our thoughts on the game.